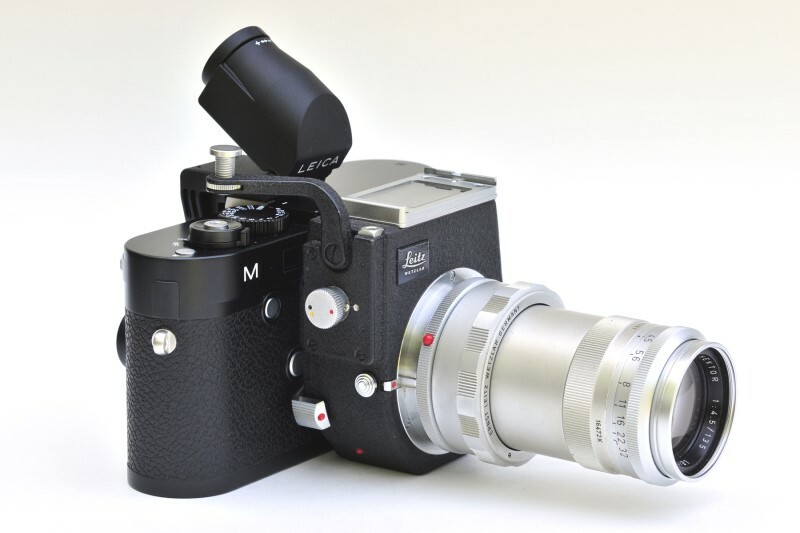 James Lager- Combining The Leica M-type 240 New with the old…. ! 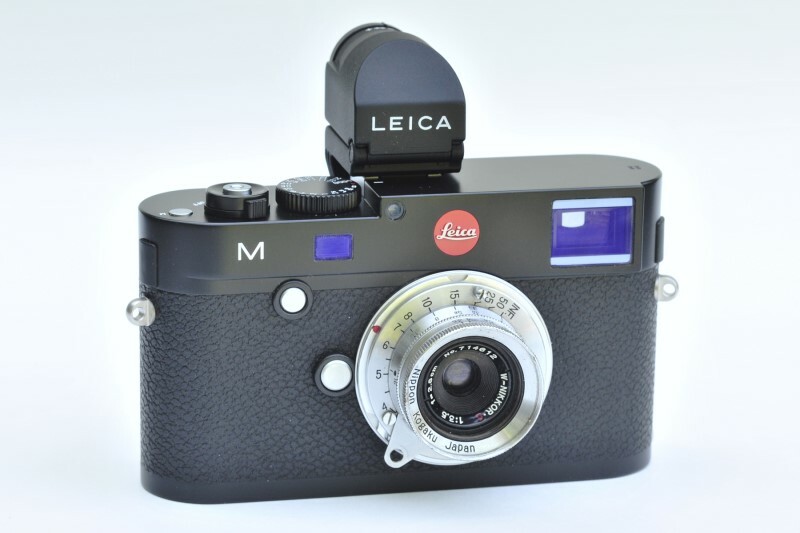 You waited a very long time for your new Leica to arrive. Finally it’s here! 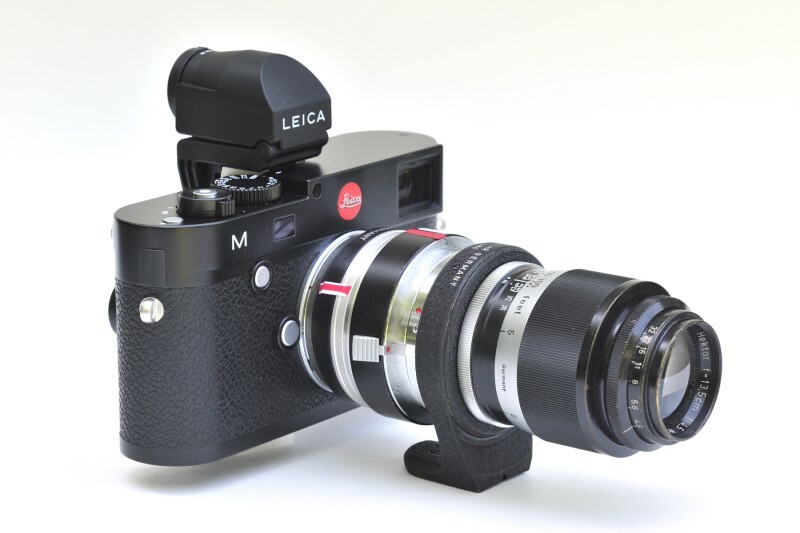 Of course you will attach modern APO Leica lenses to deliver the extraordinary quality you expect. 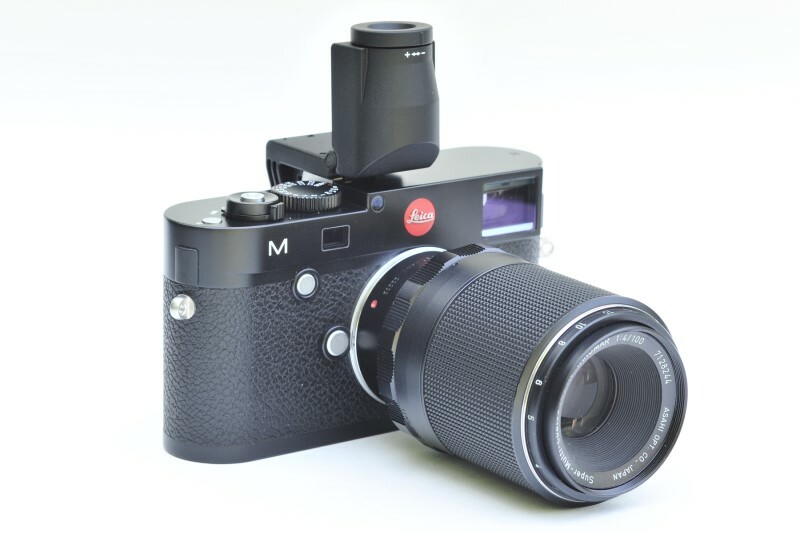 If you have access to additional lenses and accessories usability of the new M is greatly expanded. 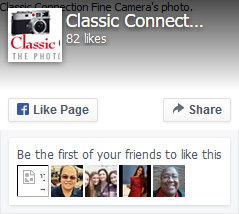 Recently I fitted various “optical paraphenalia” to the new camera. Please refer to the following illustrations. 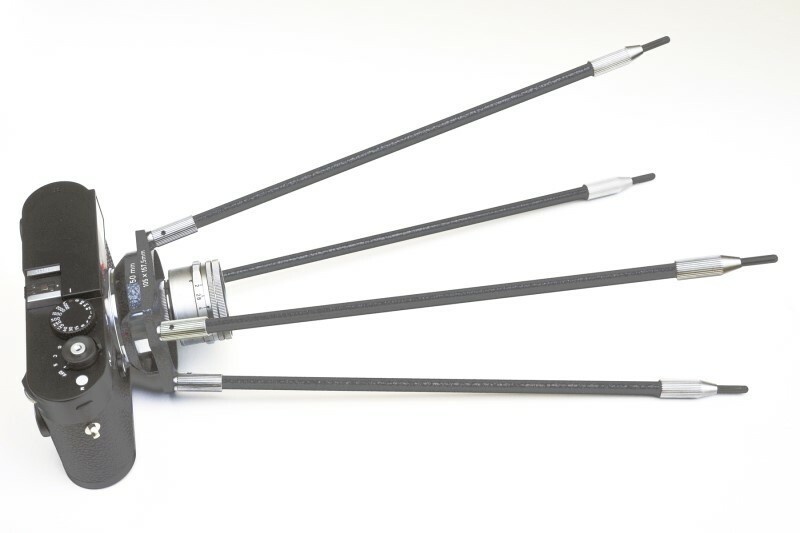 Bellows units and long focal lengths are best employed with solid tripod support. 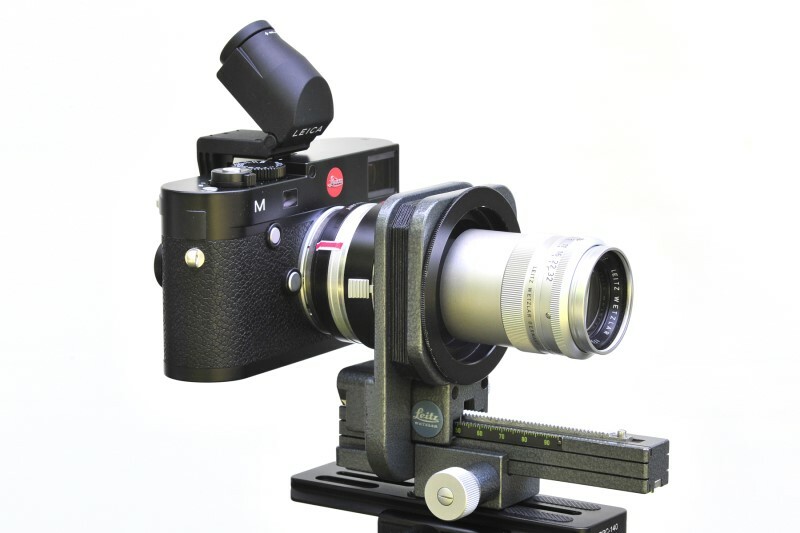 The EV2 electronic viewfinder can be thought of as a “baby Visoflex”. 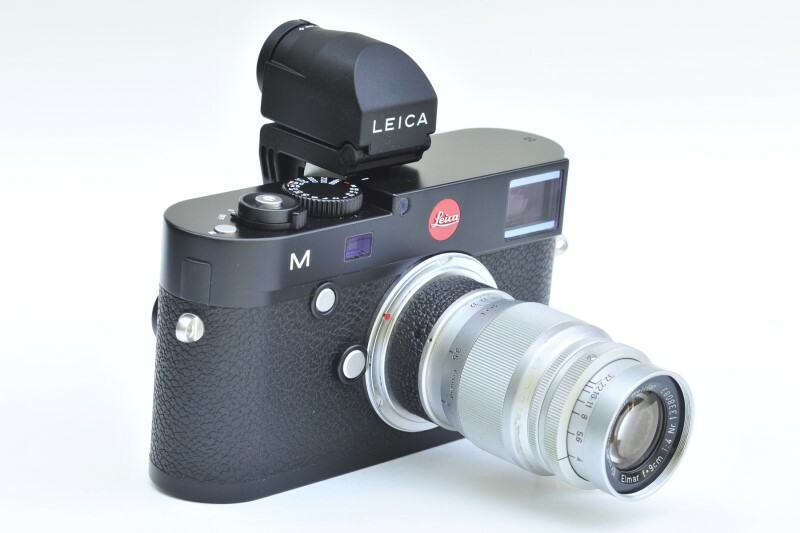 Addition of the EV2 basically converts the Leica M into an SLR. 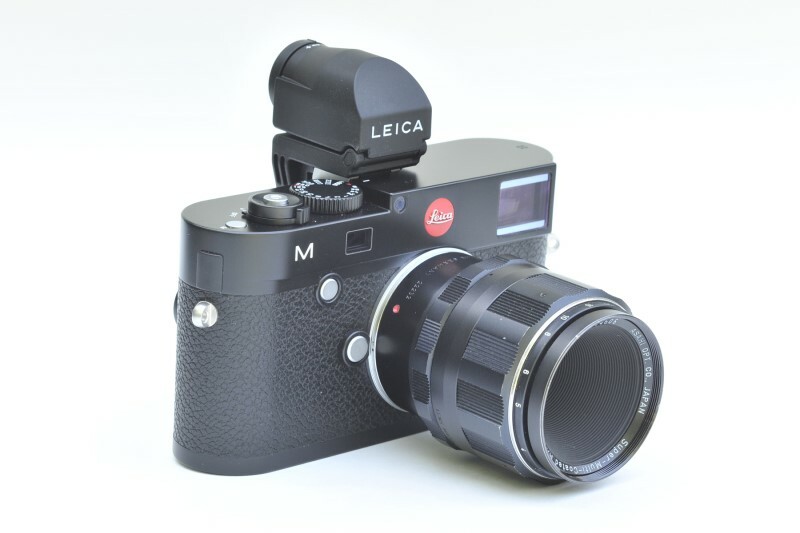 Presently the new Leica R to M adapter is in preparation with delivery expected shortly. 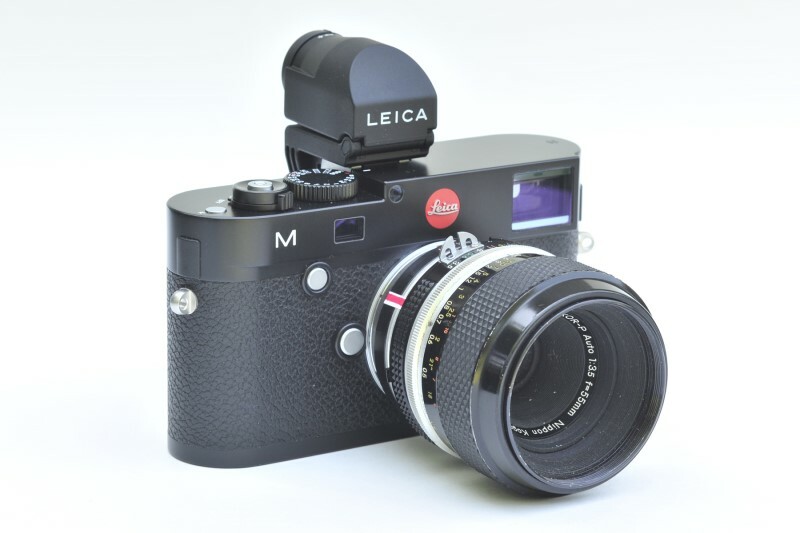 The Leica M accepts rangefinder coupled lenses. 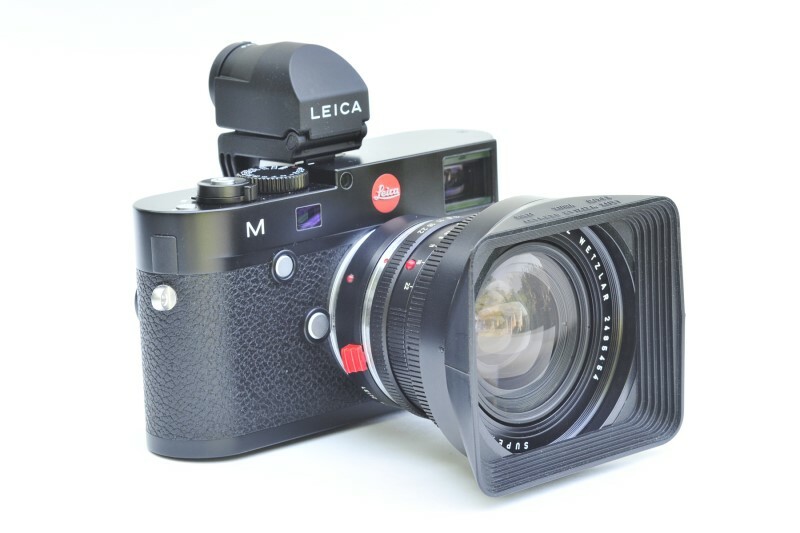 With the EV2 and adapters Leica R and Visoflex are usable. Enjoy your new M and consider fitting equipment you already have. The possibilities appear endless. 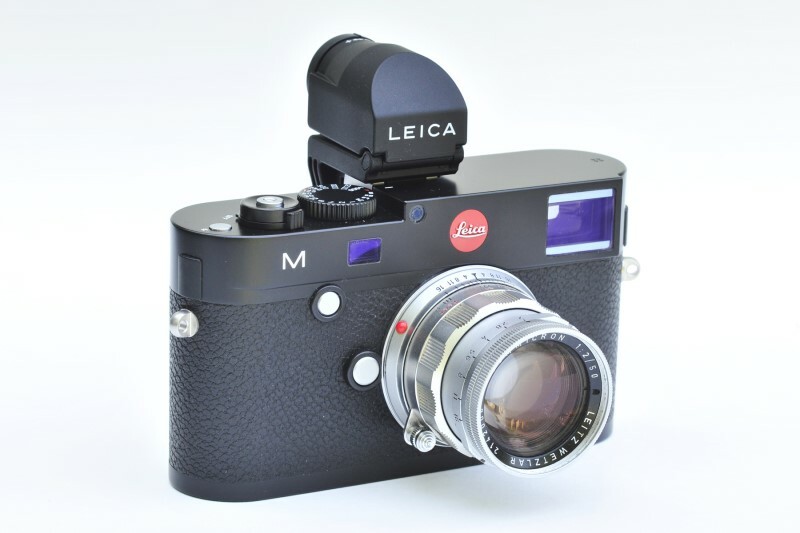 Consult your Leica Dealer for the adapter(s) you require. 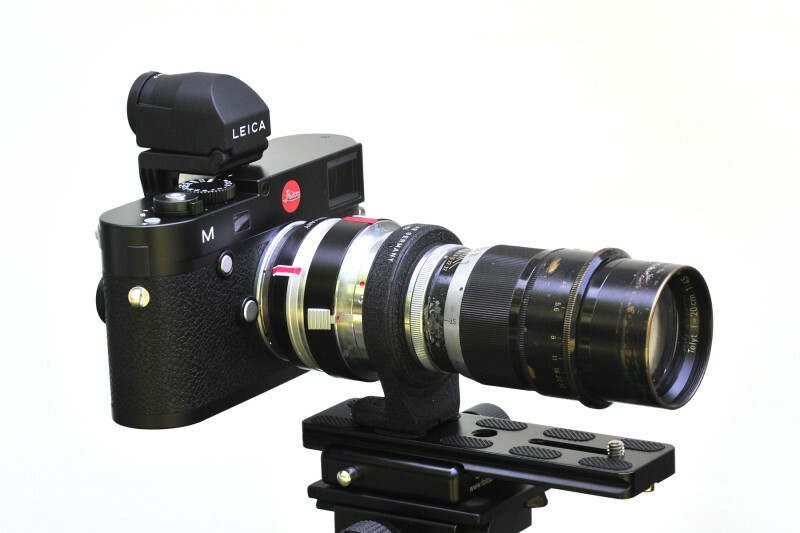 100 mm Macro Takumar via 22232. EV2 set for waist level. 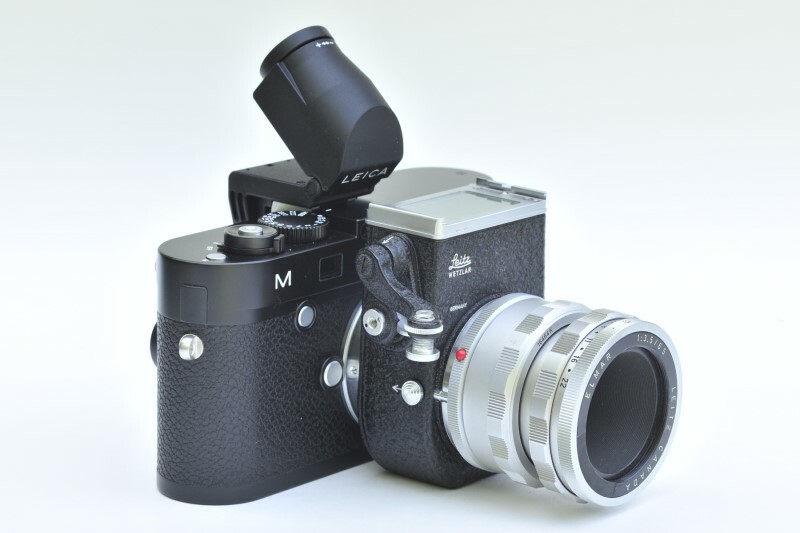 85 mm Super Takumar via 22232. 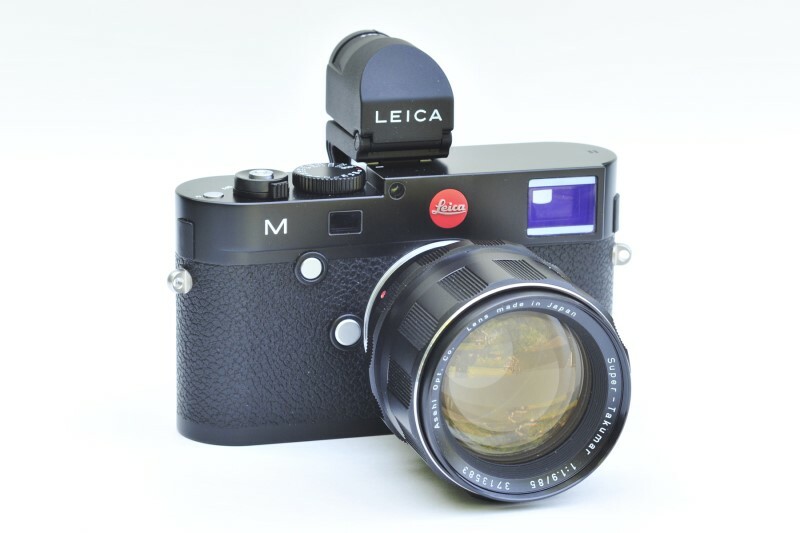 Visoflex II as spacer (mirror up) , 65mm Elmar, 16464 mount . EV2 at 45 degrees. 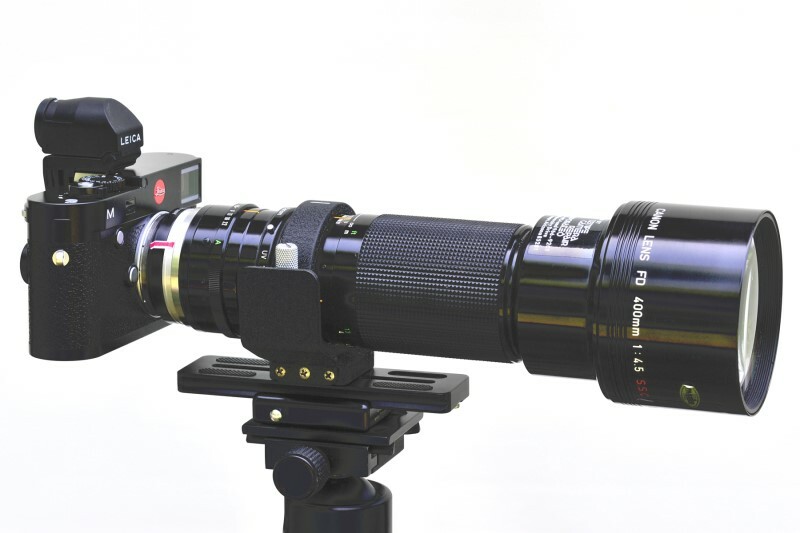 Visoflex III as spacer (mirror up) , 135mm Hektor, 16464 mount, 16472 tube, EV2 at 45 degrees. 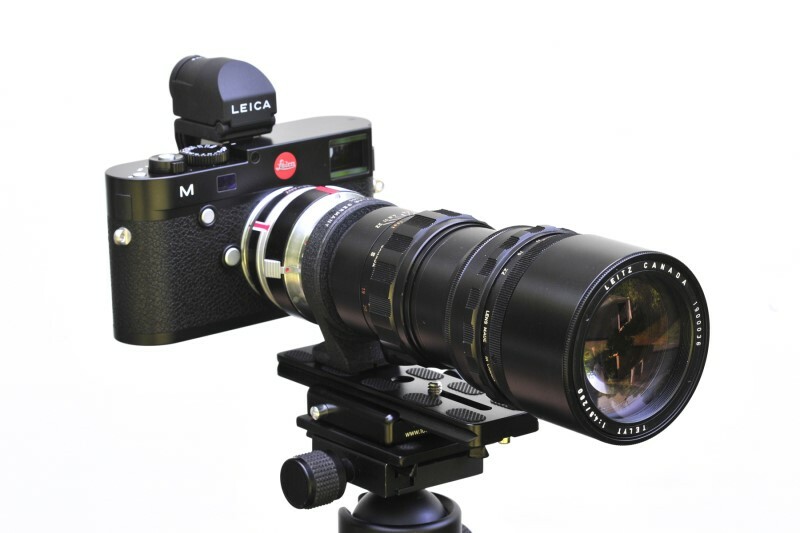 135mm Hektor in short mount, 16466 tube, with Nikon to Visoflex adapter and Nikon to M adapter. 135mm Hektor, 16472 tube, on Bellows II. 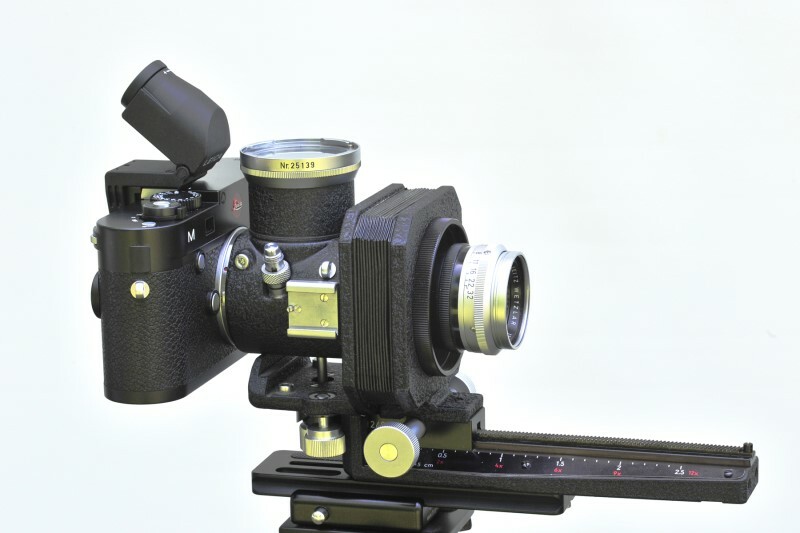 Visoflex I as spacer (mirror up), Bellows I with 135mm Hektor, EV2 at 45 degrees. 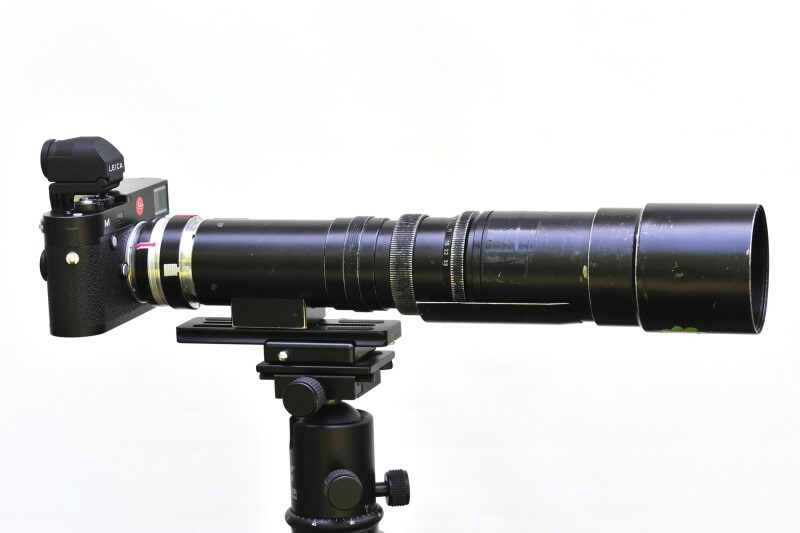 200mm Telyt with 16466 adapter.